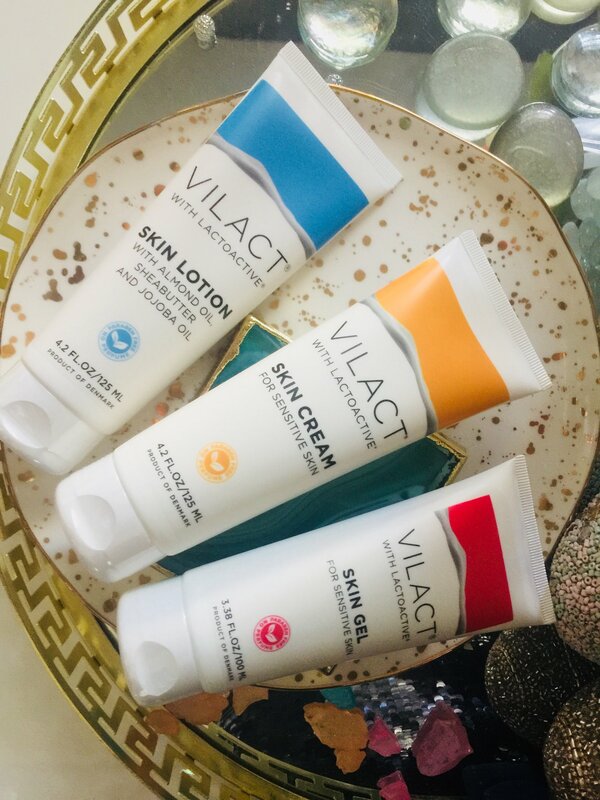 Vilact products are also enriched with natural vitamins and minerals that both moisturize and calm even the most irritated and dry skin! It’s super gentle and can be used by everyone in the family! You won’t find any perfumes, allergens, parabens, or known endocrine disruptors in this innovative line of skincare either! I found the skin cream, lotion, and skin gel to each absorb quickly and effectively into my skin! It is non-greasy, although I found that the skin cream combined with my vitamin c serum was a bit much. This cream is powerful and effective enough it can be used on its own without serum! I found a little goes a long way too, which I love because it extends the life of my product and saves me money! The Skin Gel surprised me completely by being my favorite of the three wonderful products I got to try from Vilact. 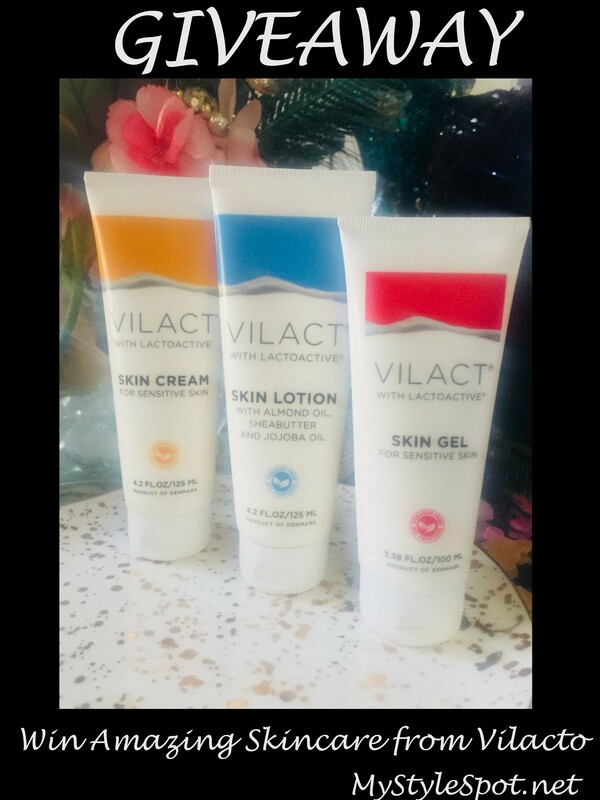 I normally find gels heavy and too much for my dry skin, but the Vilact Skin Gel glided onto my skin and felt light and fresh, and my skin soaked it up right away! All products can be used on both face and body too! The skin cream makes not only a great moisturizer, but a great cleanser too, and effectively removes hard-to-get-off mascara too! As you can imagine, these products make for a great travel companion when you need to pack light! Pick one and go! Vilact also carries some amazing foot care, hand cream, cuticle cream, lip balm, after sun repair cream and more! I’ve absolutely loved using this line and my summer-damaged skin has too! It feels so soft, smooth, supple and hydrated, even after only a few uses! I have a radiant glow and my skin seems so much happier overall! I can’t wait to keep using with time to see some reverse anti-aging! Who doesn’t want that?! Interested in trying out Vilact for yourself? Shop now and Save 20% OFF Your Entire Order of Award-Winning Skin Care at Vilacto.com! Use code LABORDAY to save through midnight 9/7. Open to U. S. Only! In the Independence video I was going to share that it means living comfortably but not lavishly. Able to support oneself and their family. Always looking for great skincare for my 52 year old menopausal skin lol. These sound worthy! I’d love to try them all but the skin gel sounds super cool.